It’s coming up to four years since Esther moved on to the next world, and it’s interesting to see that as that time moves forward, my memories of her move backward in time. It’s easier with time to recall her at her peak, her laughter and her fierce defence of the defenceless. This year I noticed my reaction to “Fail” videos, and some of the mishap-fests on shows like America’s Home Videos. I watch these with increasing horror; tragic accidents that even if caused by poor judgement clearly really hurt, and yet they are labelled as funny. I know Esther hated watching those, and I learned the same unguarded empathy for the pain of strangers. Esther had little schadenfreude and rarely took pleasure at others’ misfortunes. It makes the world a slightly less unkind place. Many years ago as a kid visiting my Baba and Zada’s house on West 15th Ave, I used to roam the basement looking at all the odd things down there, like the wringer washing machine, various rusted tools, and the inevitable box of pens and pencils. Undoing the barrel I found a near-empty bladder for holding the ink and when I put it in the sink, a beautiful shade of turquoise ink wafter out from the barrel and meandered through the clear warm water. 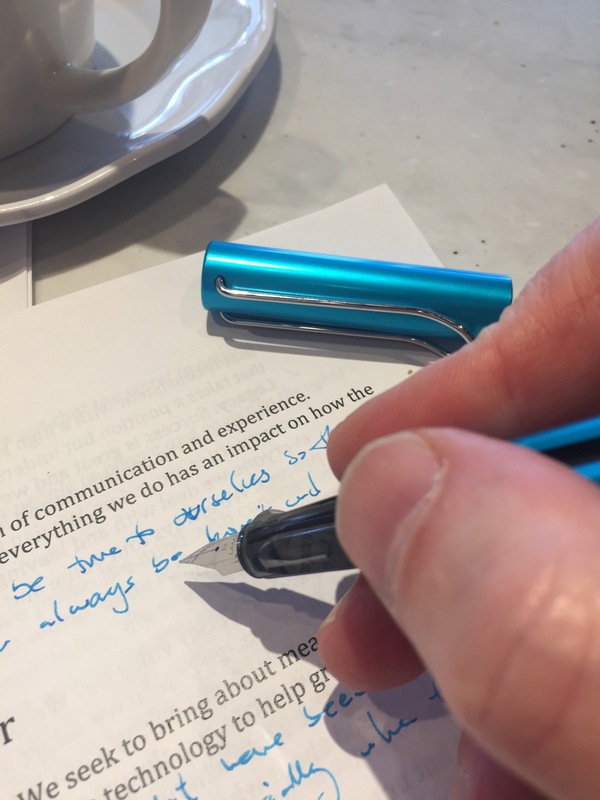 When I took it to a stationery store they recognized the ink as “Peacock Blue.” I remember buying a bottle of it and practicing trying to make the flowing writing that characterized my Mom’s handwriting. 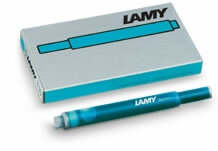 These many years later, I went by my favourite pen store, The Vancouver Pen Shop on West Hastings, drawn by this year’s Lamy special edition, one they call the AL-Star pacific. I asked why she smiled when I asked and she told me that the only people who call this colour Peacock Blue are “of a certain vintage”, which seemed a very nice way to refer to those of us old enough to remember Shaeffer pens and bottles of ink, even if we had only known about them by rummaging through our grandparents basements. 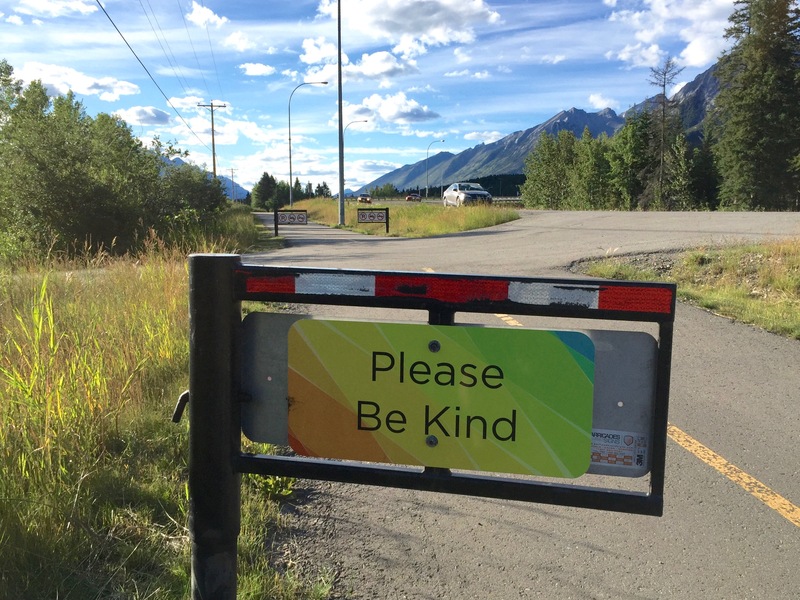 sign on the bike path on the Banff Legacy Trail between Banff and Canmore, Alberta. It epitomizes Esther’s leadership by example. Esther’s yahrzeit will fall on August 17 this year, and as I look back time seems to have put a lot of distance in my memory from this event last year. Sadness fades, and the strongest memories of Esther re-assert themselves, replacing the later years of forgetfulness and sadness that came from her dementia. This year I was imagining having the kind of conversation with her we had in the past, and she would have a lot to say about the world we live in today. Mainly it would be about being polite. People, Esther would say, have forgotten their manners, and behave in a rude way that should not be the way their mothers taught them. And by politeness, she didn’t mean just smile and grin when other people misbehaved, but having courage, and calling them out on their rudeness, and sometimes getting them to re-think how they act. Esther had strong opinions about kindness, and manners. She would have said that many of the mean things we are seeing in the world today are arising because we have forgotten our manners. We have forgotten that people’s feelings can be deeply hurt when we unthinkingly state our own shallow opinions, and when we forget that even the people we disagree with have feelings too. It’s hard for me not to see, as Esther’s son, that the failure of the Vancouver transit referendum, the surprising Brexit vote, and indeed the rise of Donald Trump as a demagogue, as natural outcomes of allowing unbridled, unedited, and anonymous comments to replace reasoned, polite discourse. How many hundreds of times have I received (and sent!) email written in haste, anger, and with lack of consideration. How many times have we seen web postings accusing those who disagree with the writer as idiots, morons, and worse. But Esther would have argued (I think), it is not the behaviour of the trolls that is the problem. Those people are needy, or angry, or haven’t been taught good manners, or are ill, and need some attention, and boundaries. The problem is with us, when we chuckle at the comments, retweet them, point and laugh, send their clickbait ratings up into the googlesphere, and generally encourage rude behaviour, making it a spectator sport, growing a market for rudeness and for schadenfreude. Then we are complicit. Then we are fanning the flames. Esther would have said that in polite company, people who want to be outrageous – like Van der Zalm, Boris Johnson, and Trump – are embarrassing themselves, and don’t deserve the attention they crave. They are showboating, being sensational, being clowns. You’re supposed to laugh with the clowns, or ignore their antics, then move on. Not make them the leader of a country. Not follow their delusions because they are entertaining, when the fate of your city or country depends on your vote. We live in a world that makes it oh-so-easy to be mean, and to be rude. But I remember Esther, and she would have wanted me to be as kind, and as polite as she taught me. Not to be a milquetoast, namby-pamby bystander, but to call out mean behaviour and rudeness, bring attention to it, and yes, risk telling someone they should be ashamed of themselves. To call attention to hurtful behaviour, and for many people, simply calling it out is enough to remind them of their manners, before it can grow to become fear and hatred. Thanks, Esther. We miss you. Today is the Jewish calendar date 13th of Av (י״ג בְּאָב), the date last year when Esther passed from this world to the next. It seems to be a long time ago, and I’m reminded of the deep wisdom of the tradition of mourning in Judaism, with its many stages of recognition and distance associated with the passing of a loved one. The tradition is especially emphasized when it involves a parent. No matter what age you are, losing your Mom is a major life transition, and for many people mark another stage in their adulthood. We’re on a family holiday, enjoying being with our boys, and appreciating the odd and amazing attributes we seem to affiliate with a variety of parents, grandparents, and ancestors, sharing a laugh about our shared foibles, and family strengths. 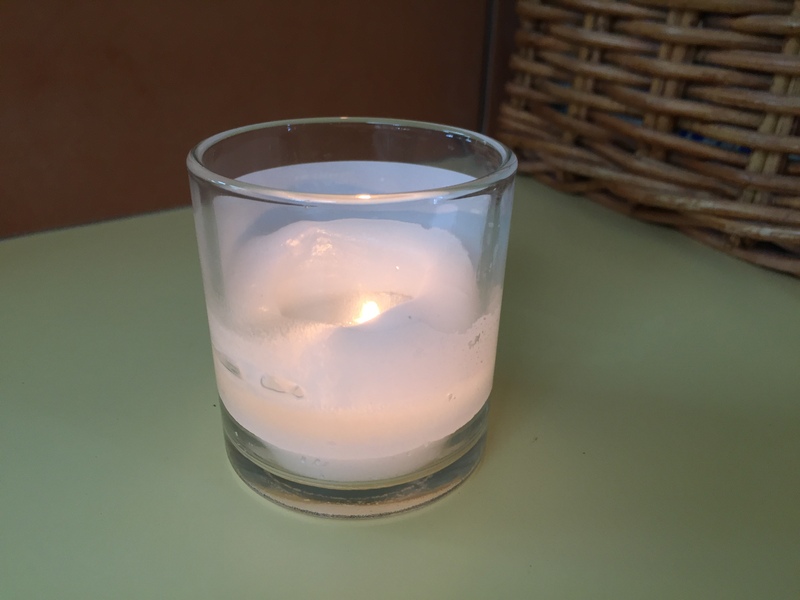 Yahrzeit candle on the hearth in memory of Esther. She would have liked the painting too. 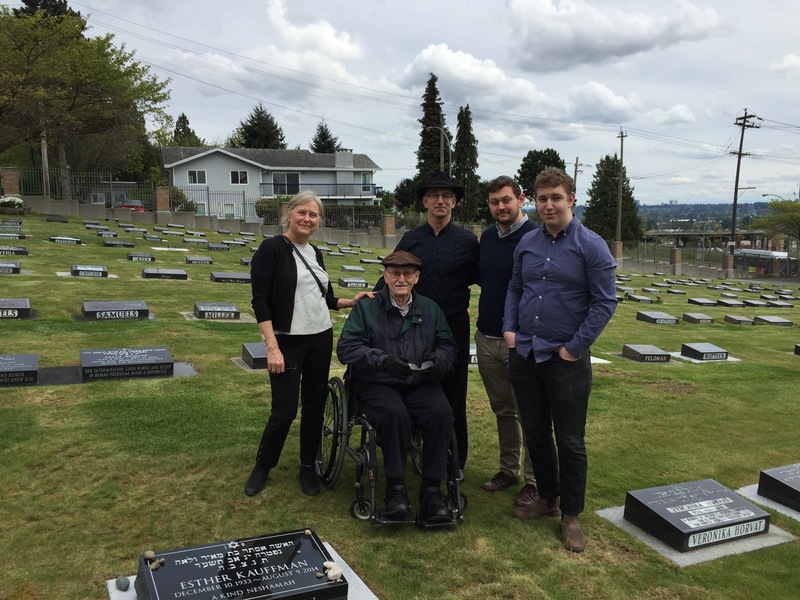 Dan and me visiting Esther’s grave in New Westminster in late July. As Tisha B’Av (the 9th of Av) approaches, a universal day of mourning for Jews around the world, Dan and I also prepare for the end of the year of aveylut, the year of mourning for Esther. It seems so much more than a year ago Esther died quietly in her sleep, and hardly a day goes by without us remembering her twinkle in her green eyes, and her ready smile. I found this cassette while cleaning the car today and has a snippet from Bill Coull’s Jazz show on CKUA that our family loved. CKUA is a community funded radio station in Alberta and Bill was a great innovator and supporter of jazz. I had the honour of donating an hour of his show to Dan and Esther before he retired. Esther always had an artistic streak, and as her leisure time grew so did her ability to pursue her creative talents. One of her interests was calligraphy, an interest I grew to share, and co-incidentally share with my cousin Susan who is the daughter of Esther’s sister Ruth z”l. This weekend I had the chance to dig our Esther’s calligraphy pen set and write a section of Hebrew for a thank-you card. I’m grateful to have another aspect of my Mom’s life maintain and deepen the connection with my own, to the benefit of others. I know she’d be happy to see this ongoing connection. 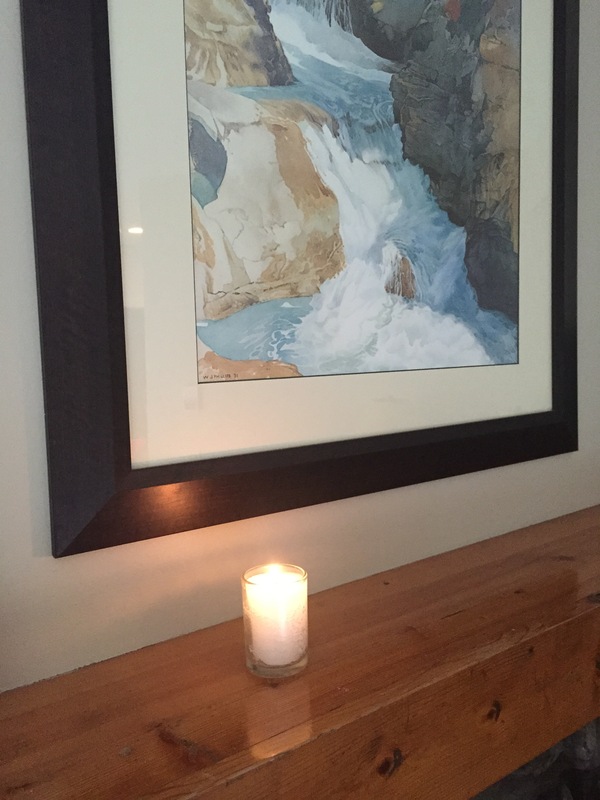 Tradition tells us that the year of mourning for a parent is particularly difficult, and I can attest to that. There is hardly a day that goes by without thinking it would be good to go visit Esther, take her for her favourite Dairy Queen ice cream, or walk in the flowers. A beautiful letter arrived from Or Shalom reminding me of the anniversary of Esther’s funeral. On that day we will probably be on our summer road trip, but will take a moment to mark that date. 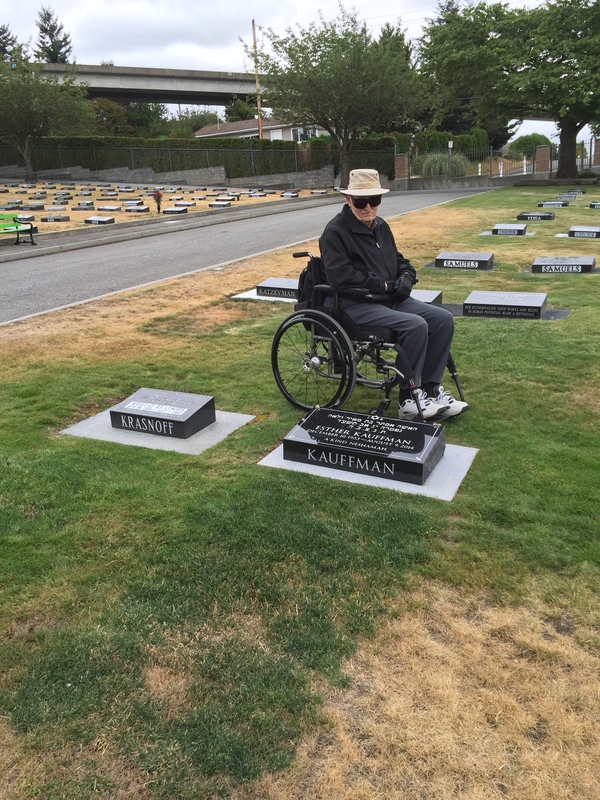 It’s a Jewish tradition to delay the installation of the headstone for almost a year after the passing of person. This is based on a mythical tradition of gilgul hanefesh, or as Disney calls it the wheel of life. But for mystic traditions like Judaism, Buddhism, Hinduism and others, the wheel extends beyond death, it refers to the return of the soul to the earthly world some time after it has been released from the body. 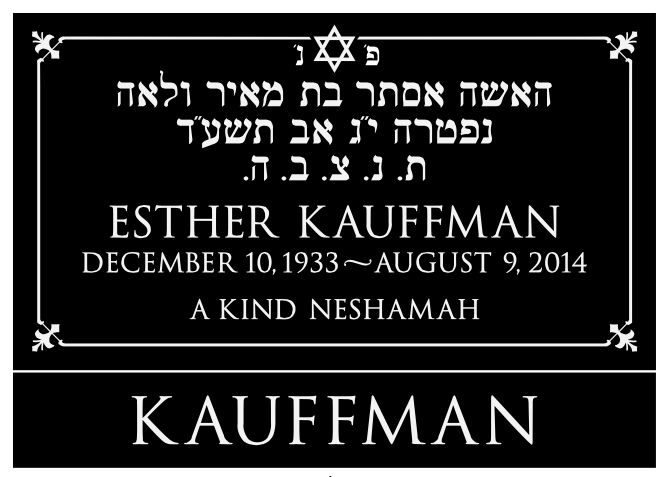 This Sunday we unveiled Esther’s headstone with the inscription “A Kind Neshamah” The Neshamah is the name of the third of the depths of soul, the one that is unique to people, and the one that for Esther shone through even when dementia or illness masked her other wonderful attributes. 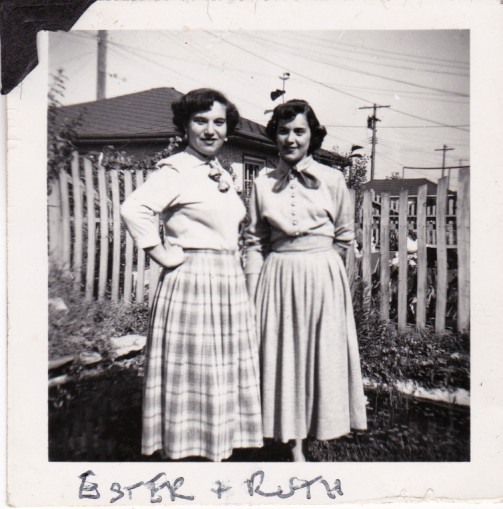 On April 26, the Zipursky clan will be assembling to unveil the headstones of Esther and her sister Ruth, who passed away within a few months of each other last year.